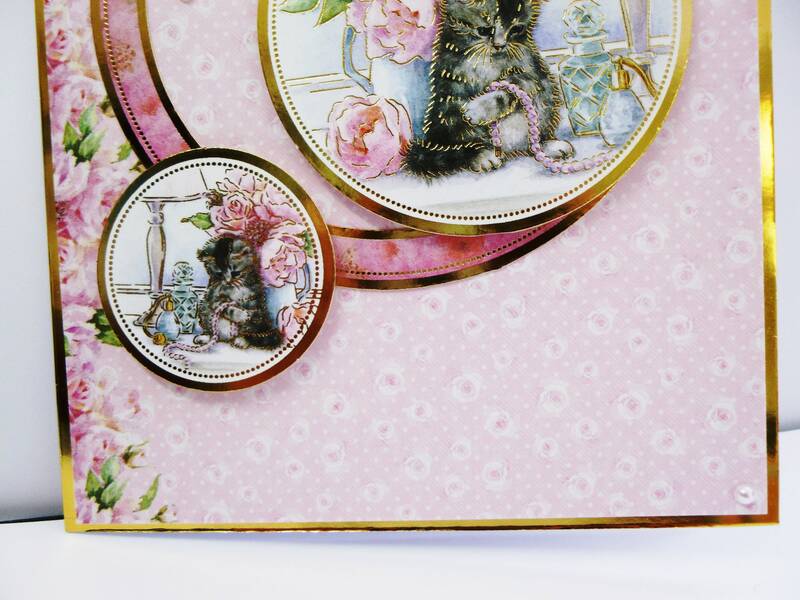 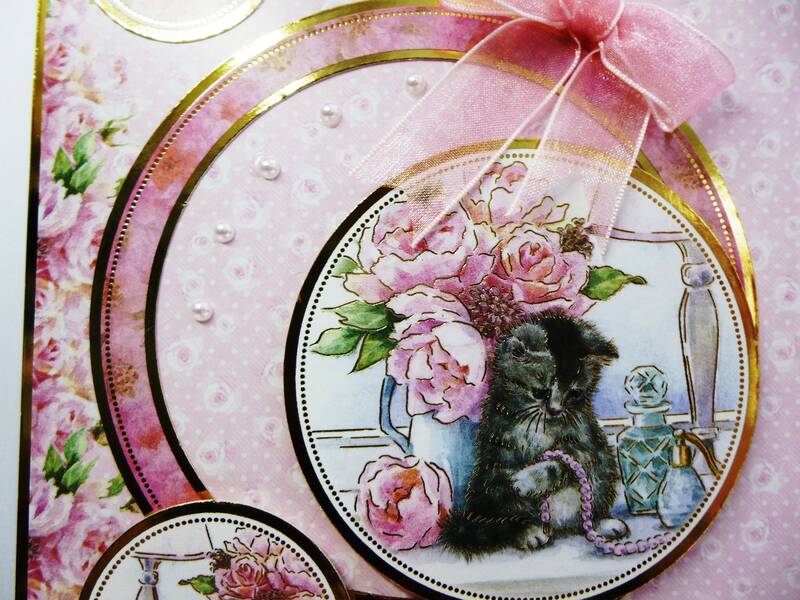 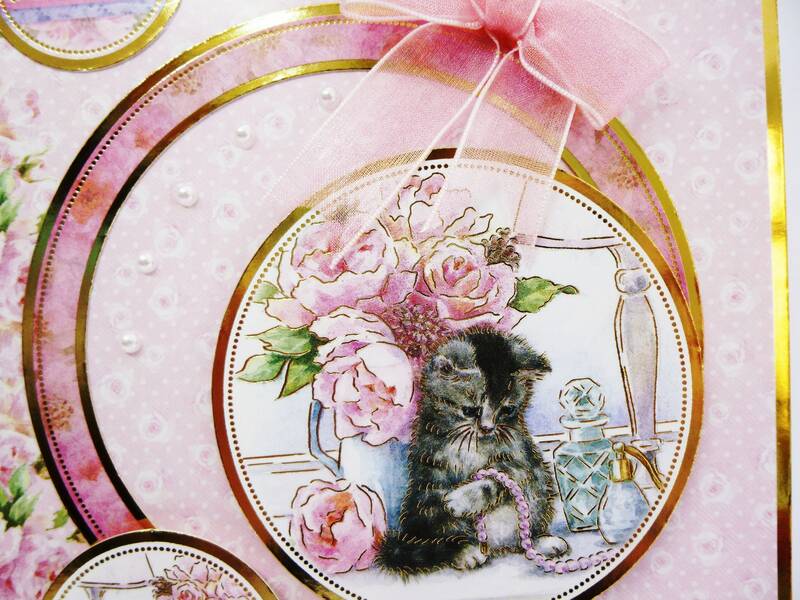 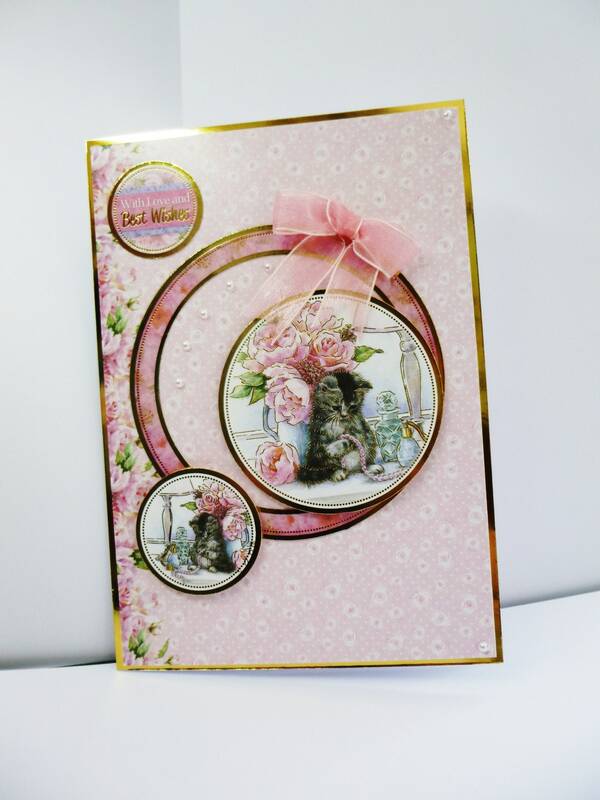 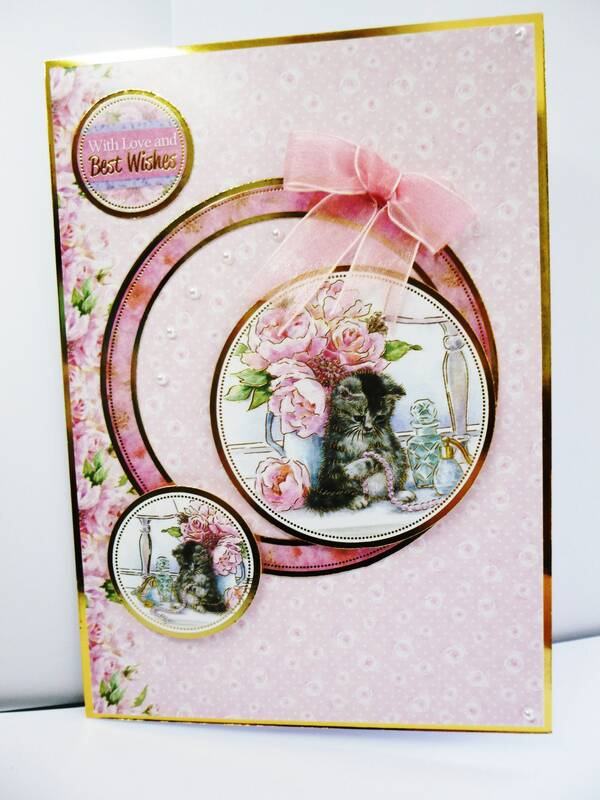 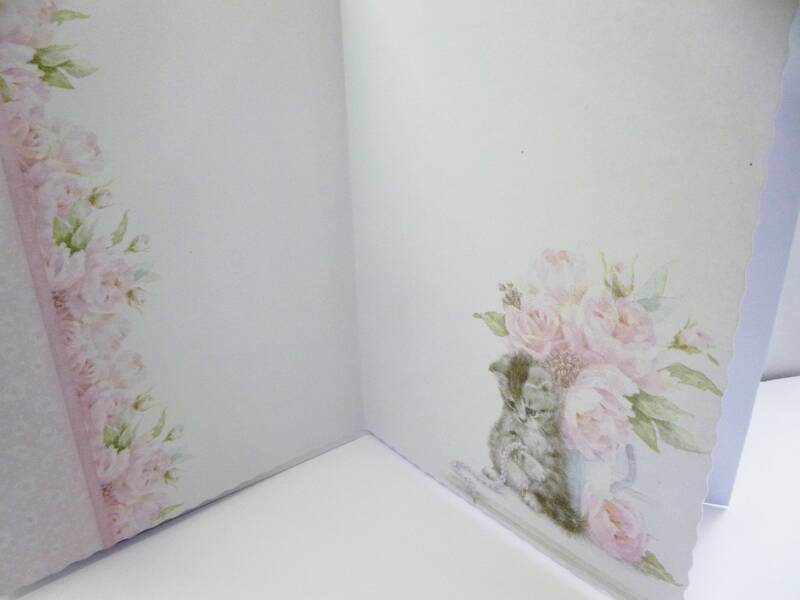 A cute kitten card made from white base card, layered with gold card, and pink patterned card, a large round frame in the centre of the card with a smaller one slightly to the right, 5 pearls in between the the frame and the topper. 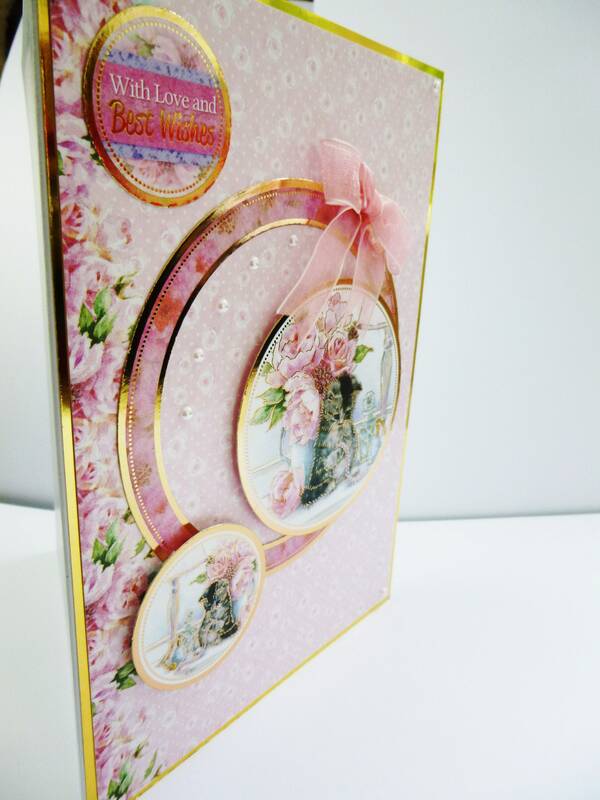 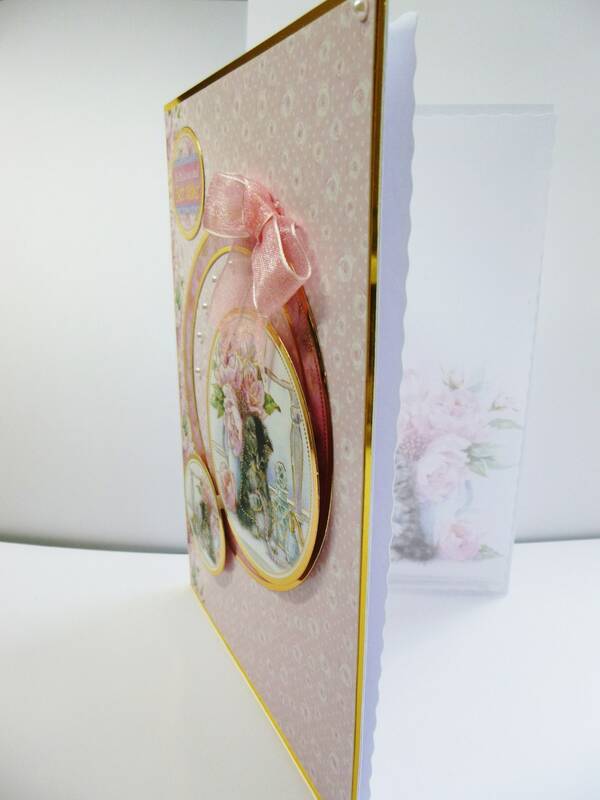 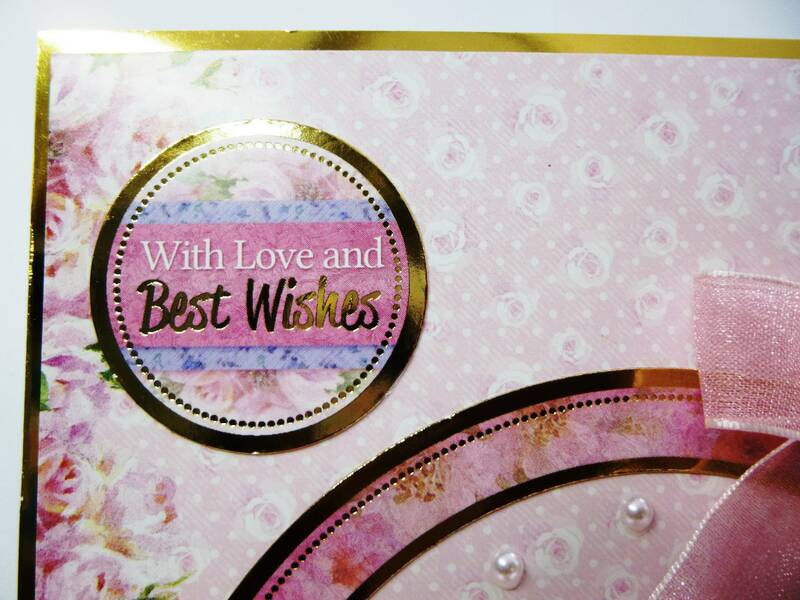 with a pink organza bow on the frame.a small round topper at the bottom of the card and a sentiment in the top left hand corner which says,' With Love and Best Wishes'. 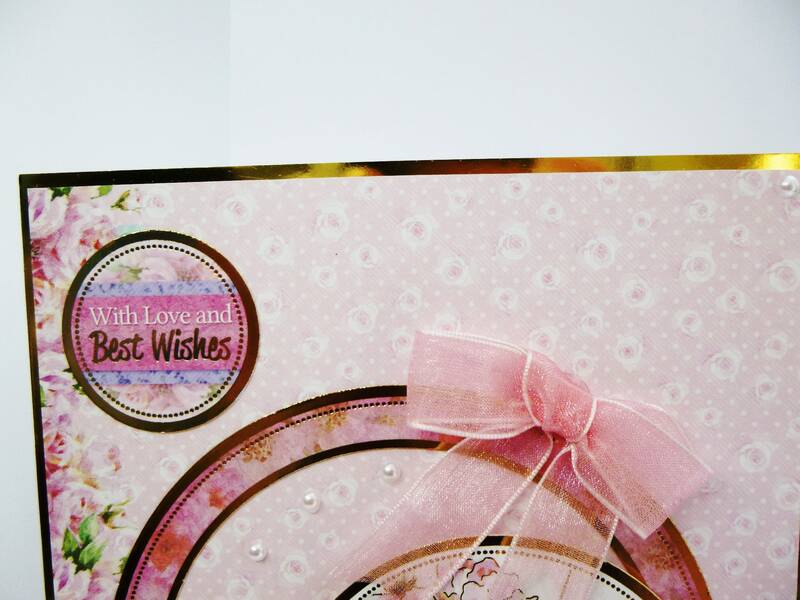 Inside the card is a matching insert paper which is left blank for you to write your own personal message.